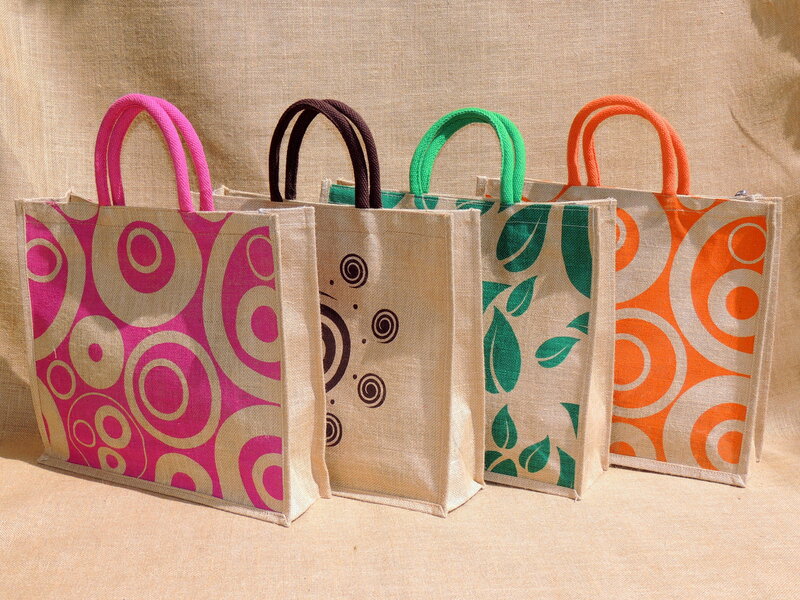 We Saran Jute Bags is a Jute Bags Manufacturer in Hyderabad. We are supplier and exporter of Jute Bags . These Jute Bags are Eco- friendly, bio-degradable which doesn't harm to the Environment, Promote your Business by printing your own Logo or Matter on it. We deal with all variety of Jute Bags, we take orders for bulk as well as individual also. For a change start using #JuteBags rather than plastic bags and #SaveEnvironment, small change from individual makes great impact in future. #UseJuteBagsandStayGreen #SaveEnvironment Like , Share our Facebook Page for more Updates : https://www.facebook.com/Saran-Jute-Bags-323575157681423/ Follow us on Twitter for more Updates: https://twitter.com/SaranJuteBags Our products will be available in #Hyderabad #Mehdipatnam #ShilparamamHyderabad #Labbipet #Vijayawada #DilipSuperMarketManikonda #Manikonda#DilipSuperMarketAlkapurTownship #AlkapurTownship #BalajiGrandBazarKondapur #BalajiGrandBazarMehdipatnam #SaranJuteBags. Saran Jute Bags is wishing all " World Environment Day " We are Leading Jute Bags Manufacturer in Hyderabad. We deal with Fine Quality Jute Material to Manufacture Bags, we are supplier and exporter of Jute Bags . These Jute Bags are Eco- friendly, bio-degradable which doesn't harm to the Environment, Promote your Business by printing your own Logo or Matter on it. We deal with all variety of Jute Bags, we take orders for bulk as well as individual also. For a change start using #JuteBags rather than plastic bags and #SaveEnvironment, small change from individual makes great impact in future. #UseJuteBagsandStayGreen #SaveEnvironment Like , Share our Facebook Page for more Updates : https://www.facebook.com/Saran-Jute-Bags-323575157681423/ Follow us on Twitter for more Updates: https://twitter.com/SaranJuteBags Our products will be available in #Hyderabad #Mehdipatnam #ShilparamamHyderabad #Labbipet #Vijayawada #DilipSuperMarketManikonda #Manikonda#DilipSuperMarketAlkapurTownship #AlkapurTownship #BalajiGrandBazarKondapur #BalajiGrandBazarMehdipatnam #SaranJuteBags. Saran Jute Bags are Leading Jute Bags Manufacturer in Hyderabad, we are supplier and exporter of Jute Bags . These Jute Bags are Eco- friendly, bio-degradable which doesn't harm to the Environment, Promote your Business by printing your own Logo or Matter on it. We deal with all variety of Jute Bags, we take orders for bulk as well as individual also. For a change start using #JuteBags rather than plastic bags and #SaveEnvironment, small change from individual makes great impact in future. #UseJuteBagsandStayGreen #SaveEnvironment Like , Share our Facebook Page for more Updates : https://www.facebook.com/Saran-Jute-Bags-323575157681423/ Follow us on Twitter for more Updates: https://twitter.com/SaranJuteBags Our products will be available in #Hyderabad #Mehdipatnam #ShilparamamHyderabad #Labbipet #Vijayawada #DilipSuperMarketManikonda #Manikonda#DilipSuperMarketAlkapurTownship #AlkapurTownship #BalajiGrandBazarKondapur #BalajiGrandBazarMehdipatnam #SaranJuteBags. Saran Jute Bags is a Leading Jute Bags Manufacturer in Hyderabad, we are supplier and exporter of Jute Bags . These Jute Bags are Eco- friendly, bio-degradable which doesn't harm to the Environment, Promote your Business by printing your own Logo or Matter on it. We deal with all variety of Jute Bags, we take orders for bulk as well as individual also. Kids Lunch Bag with the cartoon characters on it, where kids love these bag to carry lunch box or any thing in it. For a change start using #JuteBags rather than plastic bags and #SaveEnvironment, small change from individual makes great impact in future. #UseJuteBagsandStayGreen #SaveEnvironment Like , Share our Facebook Page for more Updates : https://www.facebook.com/Saran-Jute-Bags-323575157681423/ Follow us on Twitter for more Updates: https://twitter.com/SaranJuteBags Our products will be available in #Hyderabad #Mehdipatnam #ShilparamamHyderabad #Labbipet #Vijayawada #DilipSuperMarketManikonda #Manikonda#DilipSuperMarketAlkapurTownship #AlkapurTownship #BalajiGrandBazarKondapur #BalajiGrandBazarMehdipatnam #SaranJuteBags.